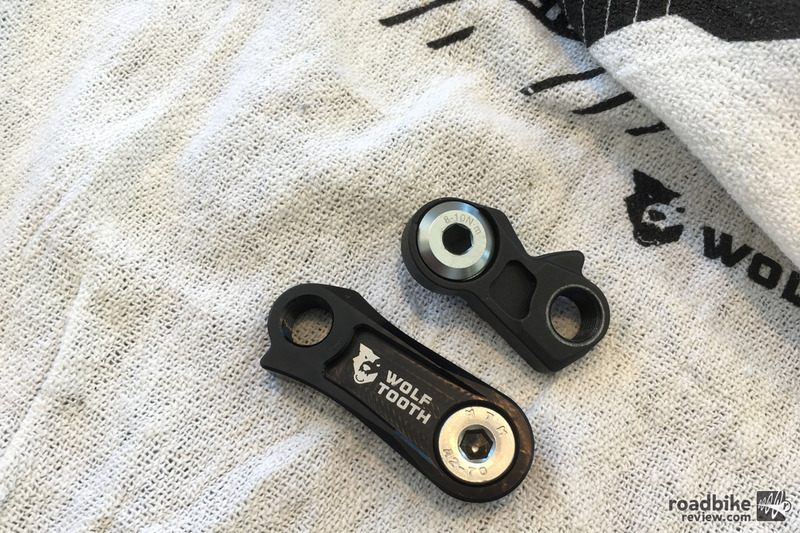 The WolfTooth RoadLink can provide a clean set up on a classic gravel ride. Are you looking to maximize the amount of gear for your Shimano drivetrain, or maybe converting it to a single ring set-up? 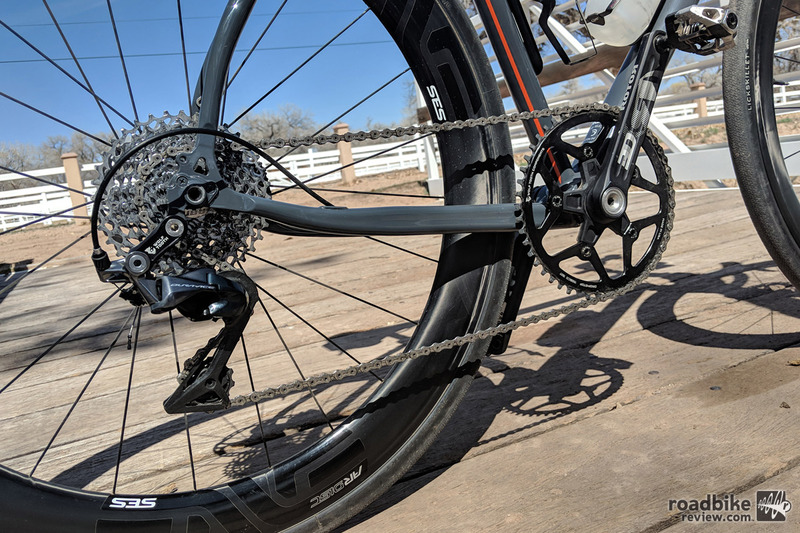 Well, Wolf Tooth has a potential answer in its new RoadLink, which gives riders the ability to increase the range of their Shimano road drivetrains, while maintaining near-factory levels of chain wrap and shifting performance. The RoadLink DM (direct mount) is the RoadLink that fits Shimano’s current generation R8000 Ultegra and R9100 Dura-Ace rear derailleurs. Price is $28 and it’s available now. Wolf Tooth’s RoadLink DM is CNC machined from 6061-T6 aluminum and built in their new Minneapolis, Minnesota, facility. 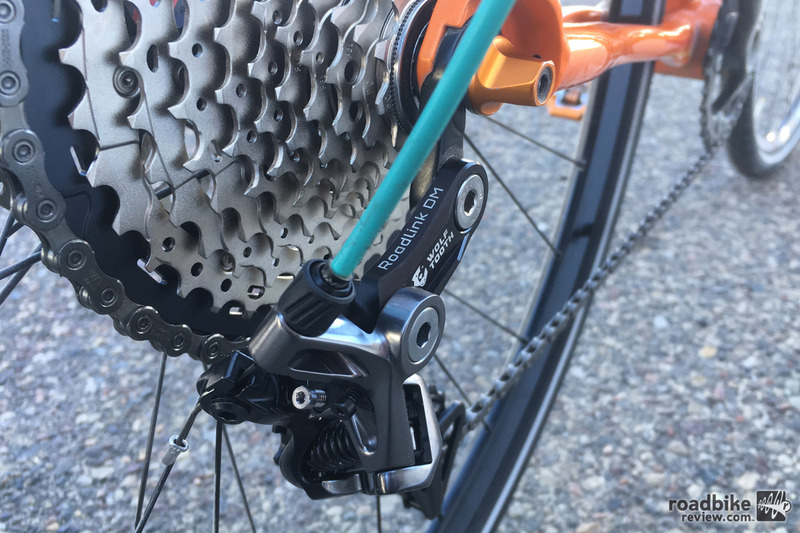 Like the mountain-focused GoatLink, the RoadLink DM replaces Shimano’s stock direct mount allowing you to relocate the derailleur to provide clearance for larger-than-stock range cassettes while maintaining chain wrap and improving shifting. The result is larger gear ranges better suited for commuter, gravel, and touring bicycles. The RoadLink DM fits Shimano’s current generation R8000 Ultegra and R9100 Dura-Ace rear derailleurs. Will improve performance 10-42t 11-speed cassettes, but not to factory levels. 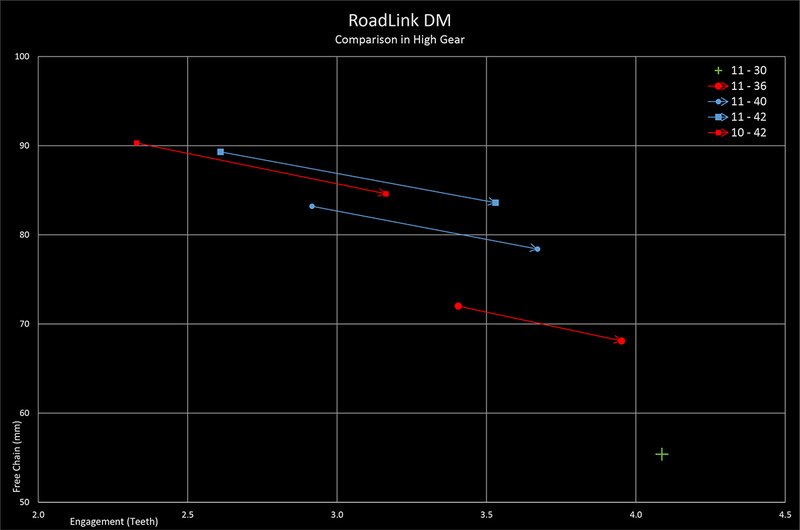 The Wolf Tooth RoadLink DM can add another gear to your set-up. The RoadLink can provide a clean set up on a classic gravel ride. Wolf Tooth’s RoadLink DM is CNC machined from 6061-T6 aluminum and built in their new facility in Minneapolis, Minnesota. The Wolf Tooth RoadLink DM can add another level of gear to your set-up.